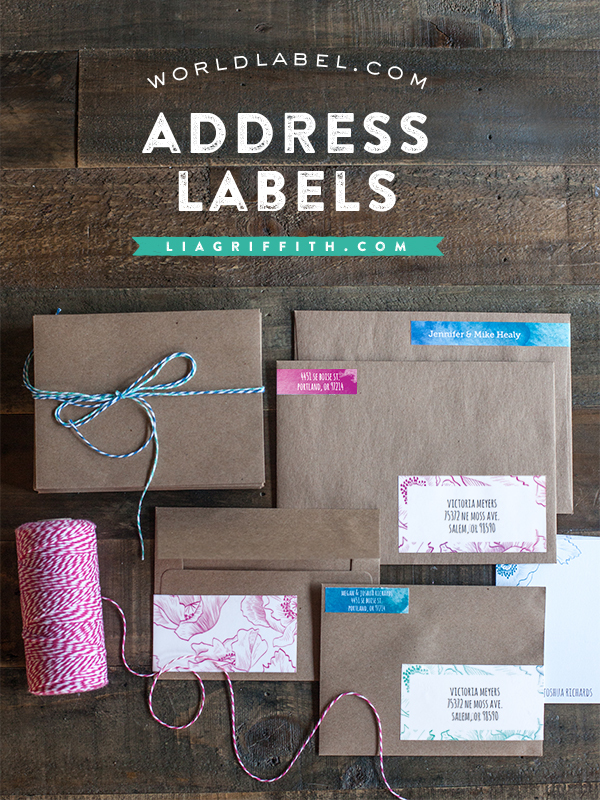 This is a great time of year to get organized and no better way then to print a set of pretty new address labels with your name and address. This set of labels designed by the team at liagriffith.com feature a fresh watercolor wash in pretty spring colors and a floral pen and ink drawing. You can choose from a classic slab font with Museo Slab or a set using the hand drawn lettering Amatic. Once you pick the style that suits you, just install the free font to match and open you label PDF in Adobe Acrobat. You can then select the placeholder names and addresses and add your own. 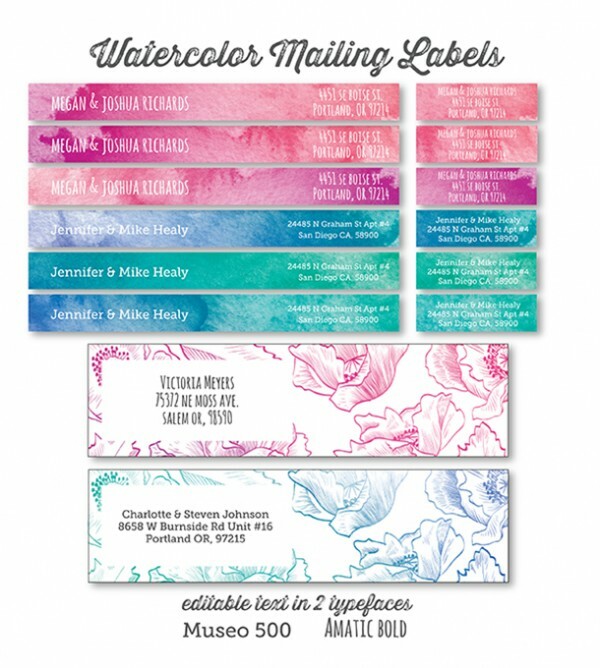 Print these labels onto full sheet label paper and trim. 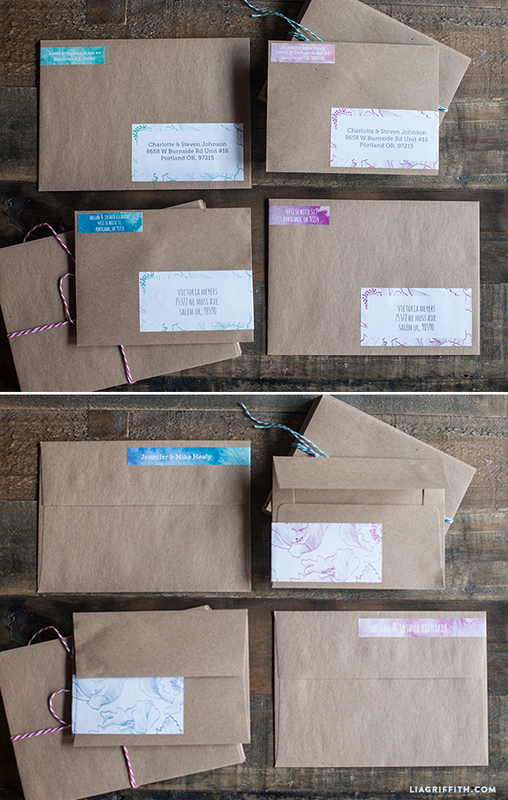 Not only are these a great set for your own stash, but they also make a great gift. 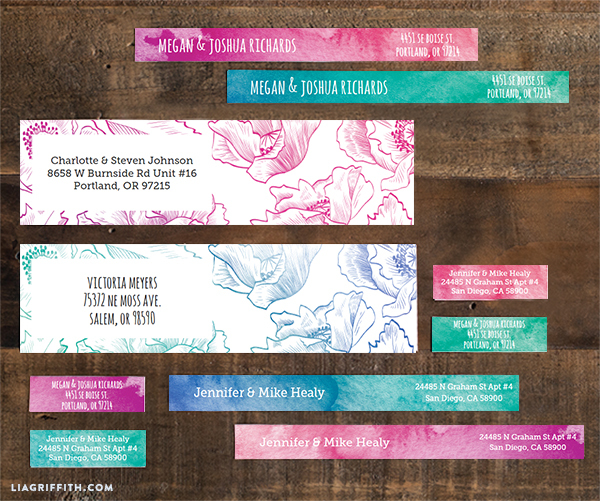 This entry was posted in Label Design and tagged address label templates, address labels, label templates, printable address labels, printable labels on January 14, 2015 by wlmanager. Fantastic! I see sets of these as those little “just because” gifts I like to give during the year as well as for Christmas stockings. This is the first time I have seen your site but I’ll be back! I would love to download these, but they are in PDF format and I cannot put my information in. Is there another file format that I can download them in? Word perhaps. I love address labels. You don’t need Word, you can either change the name and address before you download them, or you can do it afterwards as it opens in much the such way. I would suggest giving it a try.